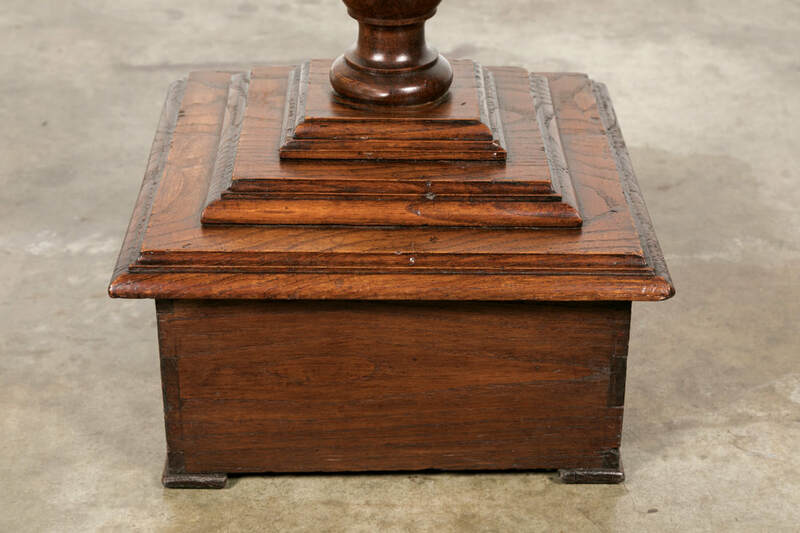 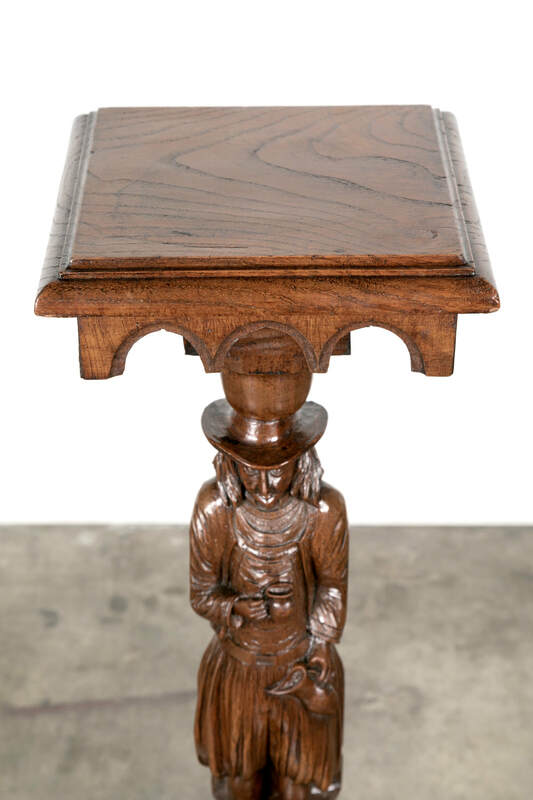 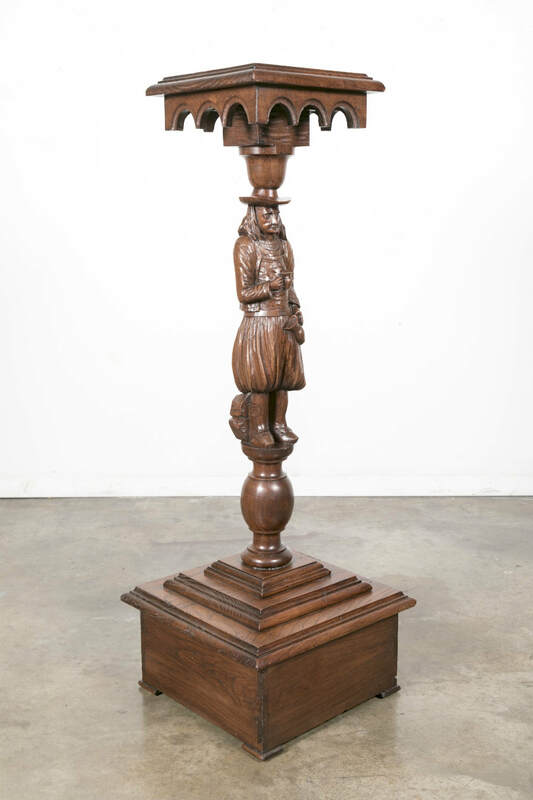 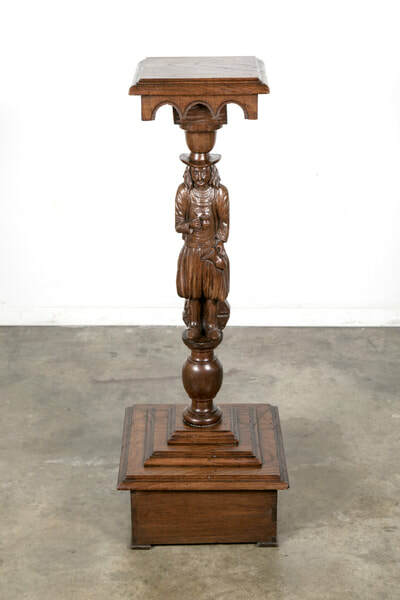 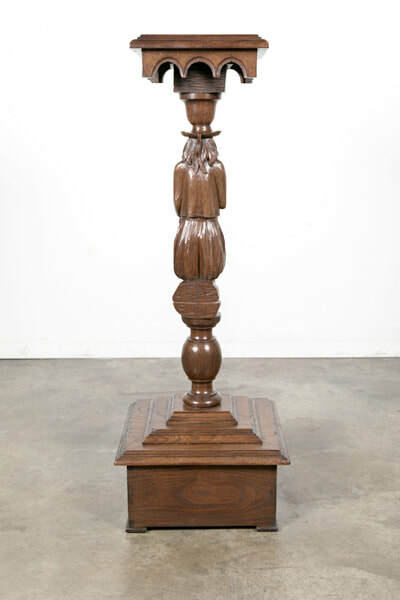 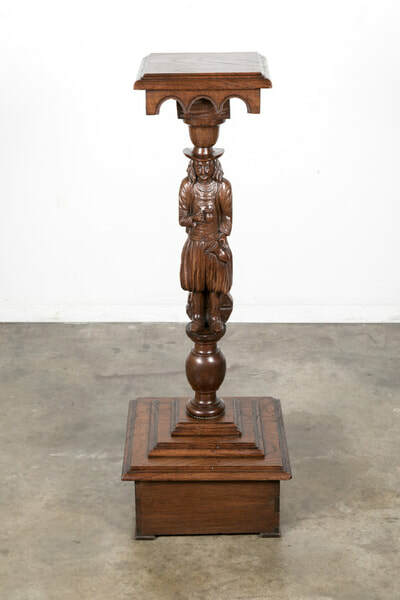 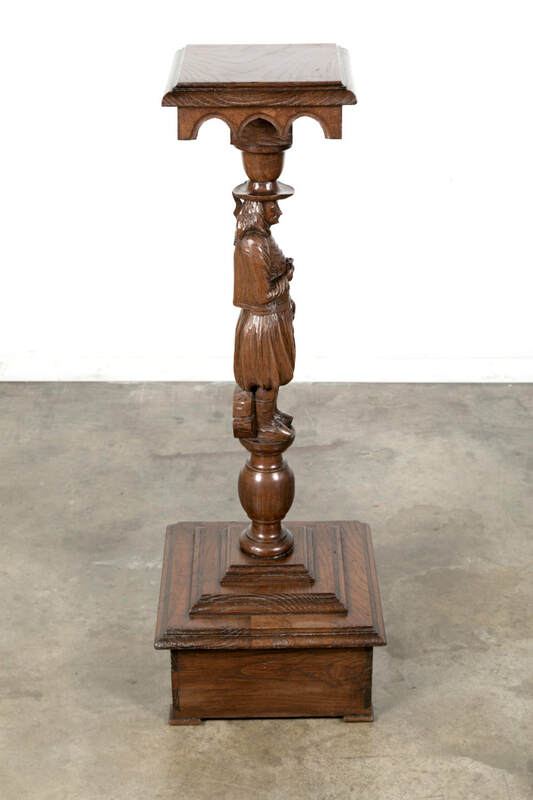 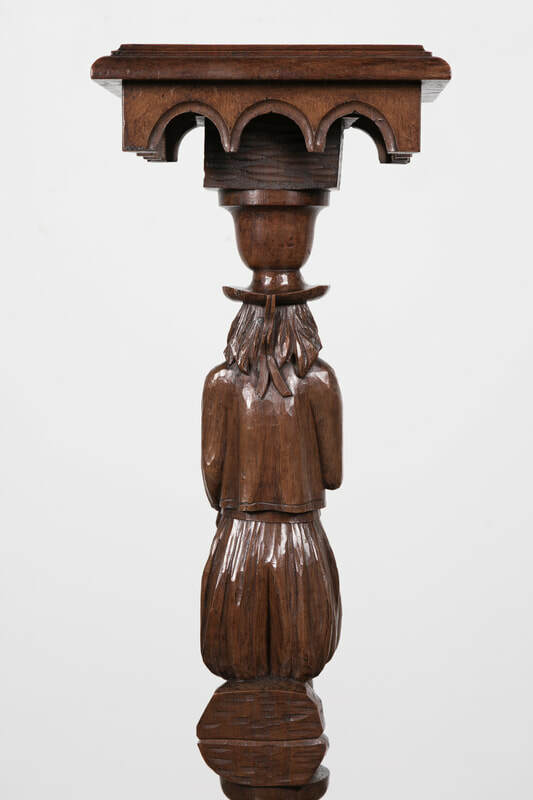 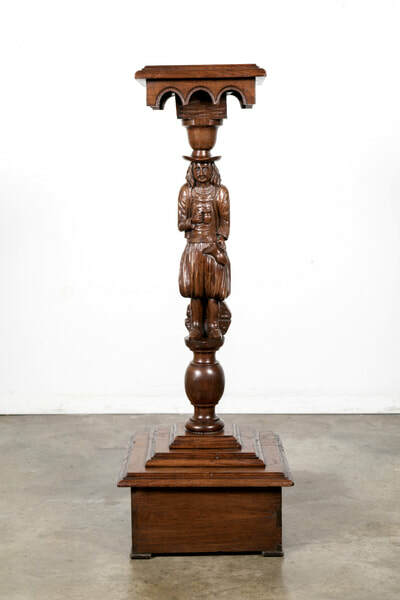 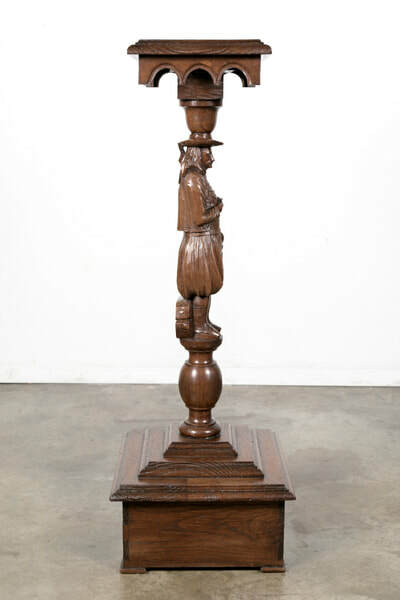 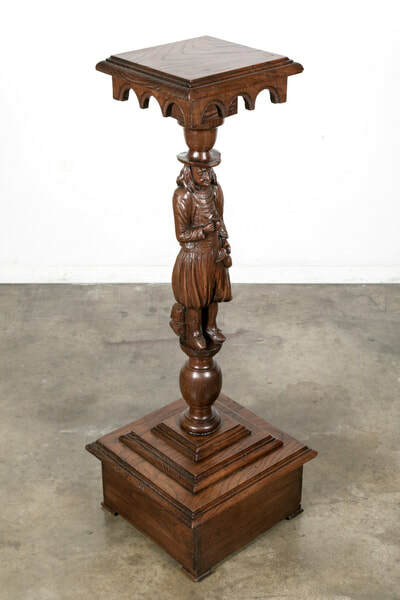 A charming 19th century French plant stand hand-carved in solid chestnut of a Breton man in traditional dress and hat pouring himself another pitcher of wine. 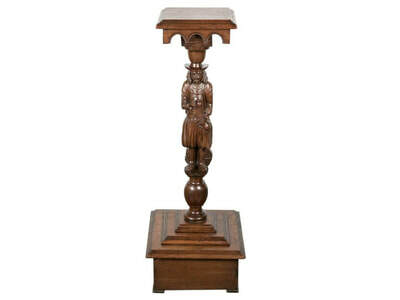 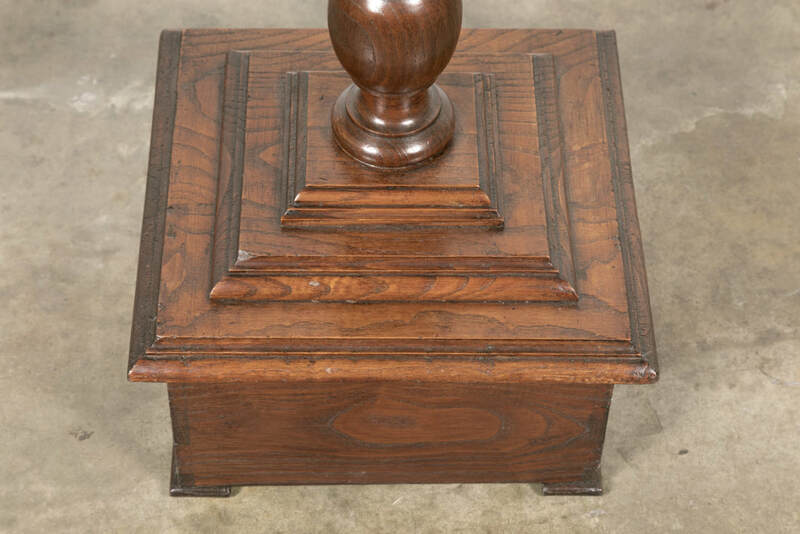 In classic Breton style, it will add a Country French touch to any space. Antique furniture from the Breton region tells a story through its symbolic carvings of people or families in their daily lives. Many of the scenes are of French country life, with rustic images of family farms and farmers reaping wheat in the fields beneath a windmill, or praying in thanks over their abundant harvest. Other typical scenes include jovial villagers celebrating with a glass of wine, playing music and dancing. 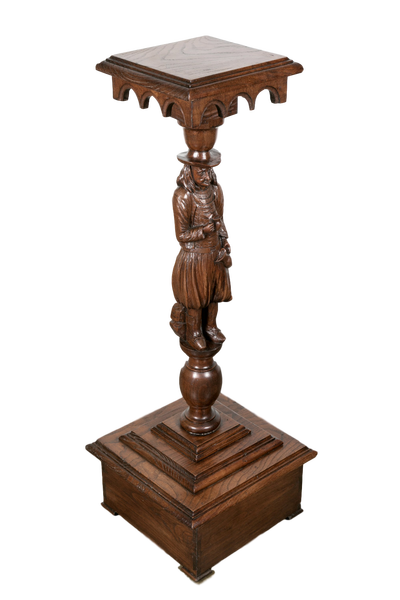 The carved detail accurately represents the people, their dress, and their customs, which adds to the charm of the pastoral scenes. 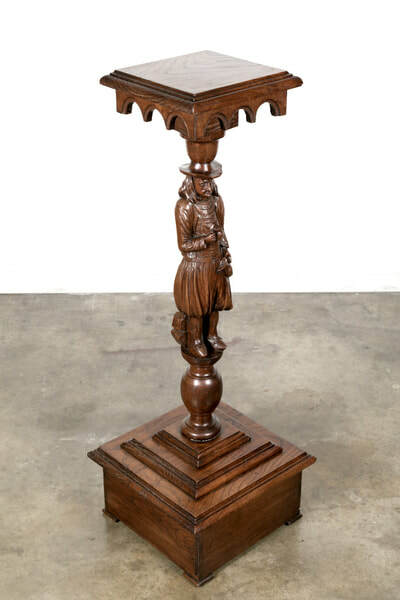 The rise in popularity of Brittany-style furniture can be attributed to a collection of Breton songs, known as The Ballads of Brittany, published in 1839 by Theodore Hersart de la Villemarque. It created new interest in the history of the Celtic tradition in Brittany and sparked a great demand throughout France for locally-produced, hand-made Brittany-style furniture. 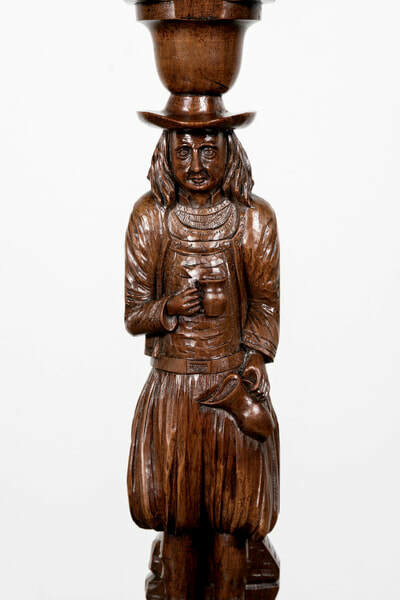 Many Bretons still dress in traditional 18th and 19th century clothing, some all the time, while others choose to do so only on holidays.